Joe and his team recently completed an extension on our house and we could not be happier with the results. They have done an amazing job. Joe and his team are genuinely nice people who were extremely professional, very reliable, thorough and mindful of our budget. Joe, Todd and Robin were also very considerate of keeping a tidy work site which was much appreciated as we lived on site during the reno. Joe kept us informed of any changes, issues and the co-construct system he uses meant full transparency for the budget and timeline. We can’t fault the attention to detail from Joe and his team and we were also very happy with the work done by Joe’s contractors. Joe has a great team with a really good working dynamic. We have had a really positive renovation experience and would not hesitate to recommend Scope Construction to others. Thankyou also for all the small jobs you did for me! “Joe Greenwood of Scope Construction has just completed a renovation. It was great to have a builder who listened to our ideas but also suggested other options & included us in the whole process. Communication, keeping me fully informed throughout the process. Ability to deal positively with changes to the work, both in terms of being able to accommodate my requirements and provide good advice, costings and options. Quality of the workmanship including that of your subcontractors. “What’s the 1 thing that impressed you most? How professional you were. Showed up on time, worked hard all day, were very particular on the neatness of the site, cleaned up every day. The build was perfect with great attention to detail and quality. Discussed every part of the project with us to make sure we were happy. The best tradesmen we ever had do work by a long shot. What’s 1 thing you felt we could do better? Joe, Vic & I would like to sincerely thank you & Dan for the fabulous job you did building our pool deck & entertainment area. I can’t put into words how happy we were with the job that you did. Not only did the final product far exceed our expectations in quality and craftsmanship which is almost nonexistent these days. The whole process was a joy, something that we have never experienced with any passed tradesman that we have had work on our properties. We really appreciated the professionalism of Scope, they cleaned up every day before leaving, were conscientious and respectful of our property. “We used Scope Construction recently and Joe was reliable, trustworthy and a genuinely honest, down to earth guy. We have just had a major renovation to the inside of our home completed by Scope Construction (Joe) with fantastic results. 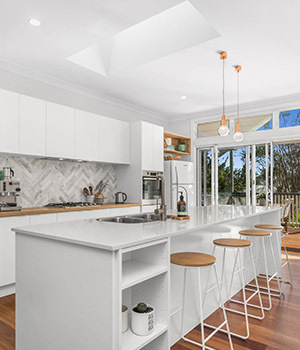 It is really good to have a builder who listens and actually goes out of his way to help you in trying to find the best way of doing things and finding the cheapest prices on materials and other tradies to fit in with the budget restraints we had. Joe was prompt and is very trustworthy. I would recommend Joe to anyone considering any sort of renovation. Joe from Scope Construction has recently finished renovations at our house. He renovated our Ensuite, Laundry, Converted our Garage into a 5th Bedroom/Study and enclosed our Patio Area. We were extremely happy with the workmanship and efficiency of Joe and his Team and we will definately use Joe with any further works required at our house and will be recommending Joe to anyone doing work around their house. From the initial contact Joseph was professional and prompt, starting with the planning stage all the way through to the Handover stage. All costings were professionally compiled, and everything explained in detail. 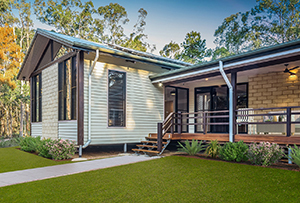 I found Joseph very understanding of requirements for the Granny flat which is for my parent and I found Joseph accommodated all requests in a timely manner. The end result was outstanding in finish and quality. I have built several homes and this finish is up there at the top. I will definitely be using Scope Construction on any future project including renovations. Thanks again Joseph and the team for an easy build. Joe and Dan from Scope Construction built our dream deck. This is not a just a deck, but something my wife and I spent a lot of time designing together with our architect and Joe. During the costing phase we asked Joe to price a whole bunch of variations and combinations and he offered some really good ideas to save money while staying true to the design. During the build Joe and Dan were exceptional! Always on time (6:30am start most days) and the quality of their work was second to none. The attention to detail Joe exhibited during the design phase was central to his work during the build phase – really impressive. Our architect inspected his work and said he must be a “proud” builder and that sums up his work and customer service! Our family can’t be happier with the end result and our experience with Scope Construction was extremely pleasurable. I have no hesitation in recommending Scope Construction…no hassle, no fuss and quality workmanship! Scope construction did a major renovation on my house at the end of 2014. The quality of the work was outstanding, Joe was very flexible to changes I needed to make to the plan along the way. He was very helpful in making sure we stuck to budget. Every single aspect of the job and working with Joe was wonderful. I would have absolutely no hesitation in recommending Scope Construction to anyone. I was a first time home builder and I didn’t have a lot of experience in building homes. My home I believe presented a challenge, in that I wanted to retain as much as I could from my parents home but also create a comfortable retirement home in which to live. The outcome achieved was new home but with a number of features of the old home which hold great sentimental importance to me. Joe very clearly helped me to achieve this. I don’t believe it was an easy outcome for him to achieve but I am very happy with the old / new home. I believe we were able to achieve, not only an aesthetically great looking home but one which also contained sentimental aspects. I observed Joe has excellent management skills with his sub-contractors on a personal level and also excellent communication skills. Concerning the quality and detail of my new home, I have received feedback from persons involved in appraising homes that my new home is “WELL BUILT” and a “QUALITY HOME” with “EXCELLENT ATTENTION TO DETAIL”. I would also like to include that I felt personally supported by Joe to achieve the vision that was my home even though, before he began the thought was daunting to me.